This Cheesy Seafood Dip with spiced shrimp and crab meat takes 10 minutes to prepare and is a great snacking food for parties and for the big game! 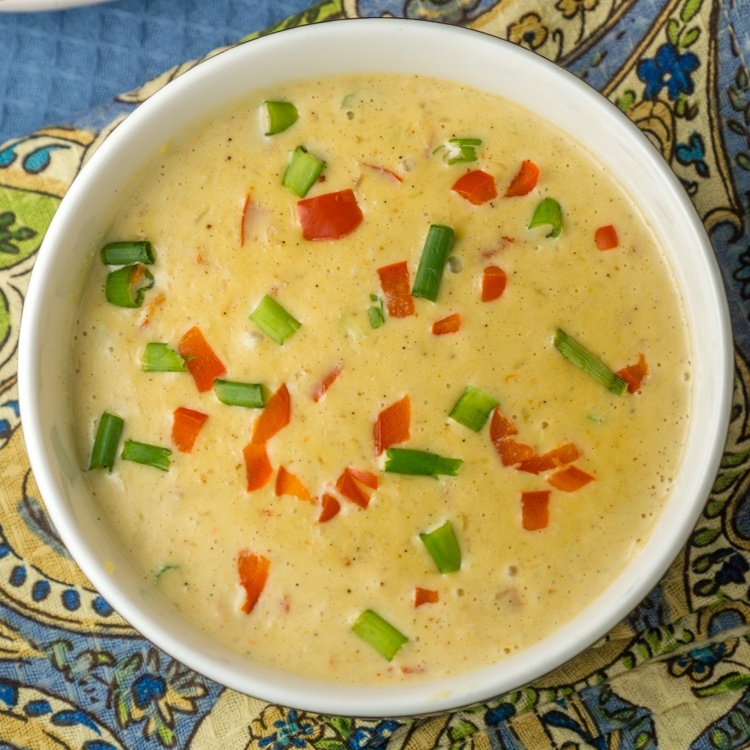 In a large microwave-safe bowl, combine the drained shrimp and crab meat with the chili powder. Add the 'sliced' Velveeta, chopped bell pepper and scallions, and microwave for about 5 minutes, stirring halfway through, or until the mixture has melted. Microwave time can vary depending on the strength of your microwave. Stir in the sour cream. Top with chopped scallion for garnish.